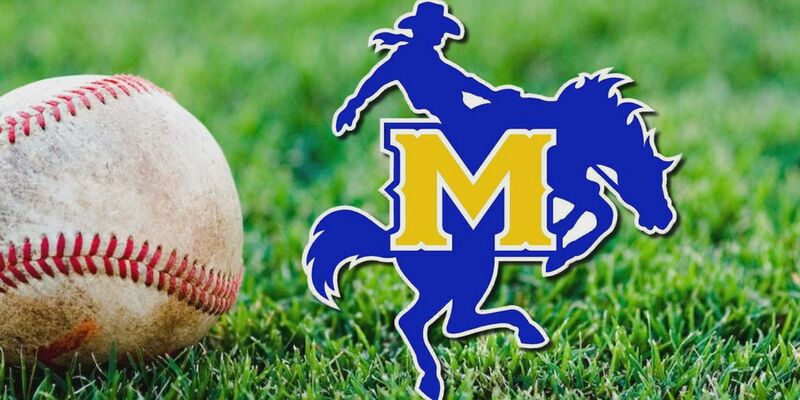 CONWAY, AR- The McNeese Cowboys split games with the Central Arkansas Bears on Friday in Bear Stadium, losing game one 4-2 and winning game two 2-1. The rubber match finale game will be on Saturday at noon. In game one the Cowboys jumped out to an early 2-0 lead after the first three innings from a pair of solo home runs by Shane Selman and Jacob Stracner. Unfortunately, that would be the only runs scored by the Cowboys as they wouldn’t bring more than four batters to the plate for last six innings of the game. In game two, junior Nate Fisbeck would be back in the lead-off spot for the Cowboys and he would deliver a lead-off home run on the very first pitch he saw, giving the Cowboys another early 1-0 lead. The Cowboys would go up 2-0 after a double to right field by junior Jake Dickerson in the sixth inning, a run proven to be pivotal to the McNeese victory because of the Bears scoring their lone run of the game in the seventh. Senior Aidan Anderson entered the game in the seventh and would show his dominance, by striking out the side in his first full inning of work on 12 pitches, and then his veteran savvy, by striking out the last two batters of the game with the tying run on third base in the bottom of the ninth. McNeese will be back on the field Saturday afternoon in a series deciding rubber match against Central Arkansas. 1st | In the top half of the inning, Shane Selman would hit a solo home run on the fifth pitch of the game over the left field wall to give the Cowboys an early 1-0 lead after the first inning. 3rd | In the third, Jacob Stracner would lead the inning off with a solo home run over the right field wall to extend the Cowboy lead to 2-0 after three. 4th | In the bottom of the inning, the Bears would plate their first runs of the game, scoring three runs on four hits to take the 3-2 lead after the fourth. 5th | The Bears would extend their lead to the game’s final 4-2 after the fifth. In game one, the Cowboys were led offensively by Shane Selman would went 2-for-4 from the plate including a single, a home run, an RBI, and a run. Jake Dickerson also went 2-for-4, including a single and double. Jacob Stracner went 1-for-3 from the plate including a home run and one run scored. Junior right-handed pitcher Rhett Deaton would get the start for the Cowboys in game one of the double header. Deaton would pitch a total of 5.0 innings, surrender four runs on five hits, strikeout three batters, and get his third loss of the year. Peyton McLemore would come in and pitch the remainder of the ballgame, finishing with 3.0 innings pitched, surrender no runs, give up only three hits, and fan two batters. 1st | In the top half of the inning, Nate Fisbeck would hit a lead-off solo home run on the first pitch of the game to give the Cowboys an early 1-0 lead after the first. 6th | In the top half, Nate Fisbeck would lead off with an infield single, followed by Shane Selman drawing a walk to give Jake Dickerson two men on with one out. Dickerson would then score Fisbeck on an RBI double in to right field to extend the Cowboys’ lead to 2-0 after the sixth. 7th | In the bottom of the inning, the Bears would plate their first run of the game and bring the score to the final 2-1 after seven. In game two, the Cowboys were led offensively by Nate Fisbeck, going 4-for-5 from the plate including three singles, two runs, one RBI, and a home run. Junior left-handed pitcher Jonathan Ellison would get the start for the Cowboys in game two of the double header. Ellison would throw a gem, pitching a total of 6.2 IP, give up only one run on five hits, strikeout six batters, and get his second win of the year. Aidan Anderson would come in and get the Cowboys out of the seventh inning. Anderson would pitch the rest of the game, finishing with 2.1 innings pitched, gave up no runs on only one hit, and five strikeouts. The Cowboys will stay in Conway, Arkansas to face the Central Arkansas Bears on Sunday afternoon in the game three finale at noon. After the UCA series the Cowboys will end their nine-game road trip with a short trip to Lafayette to take on the Ragin’ Cajuns on Wednesday.